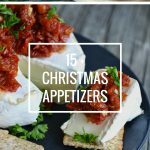 15 + Christmas Appetizer Recipe Ideas for the holiday season! 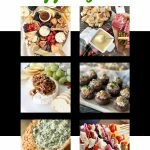 Over the years I have made quite a few appetizers for Christmas, and many of them have been shared with you, over here on my blog. 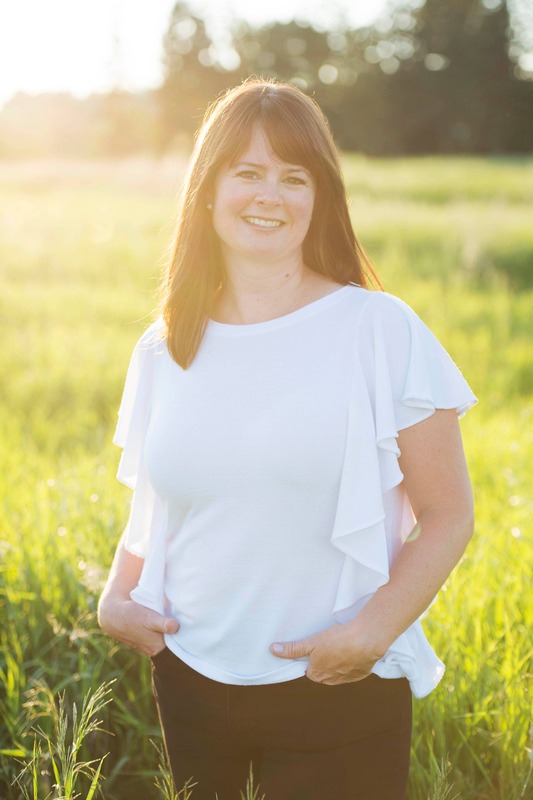 So I thought it would be nice to have them all in one place for you to find! 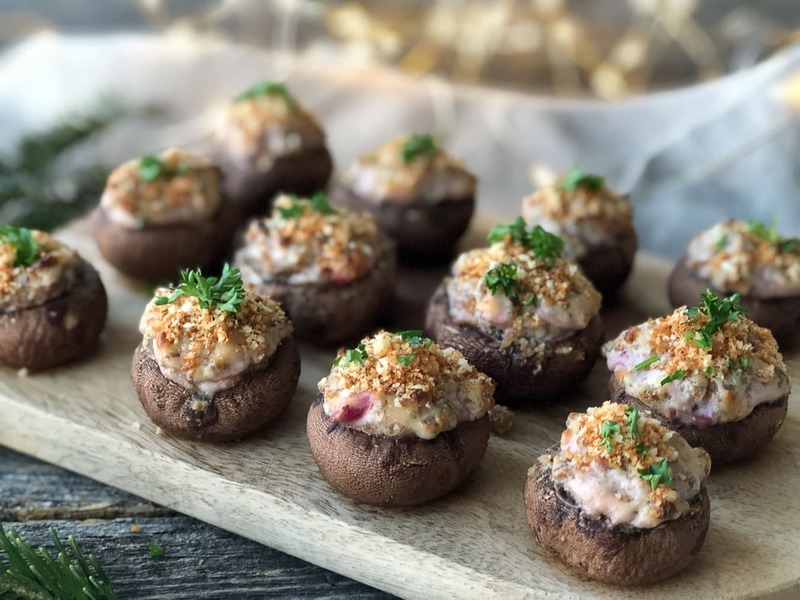 If you are looking for a Christmas appetizer, look no further…there are some great recipes here. 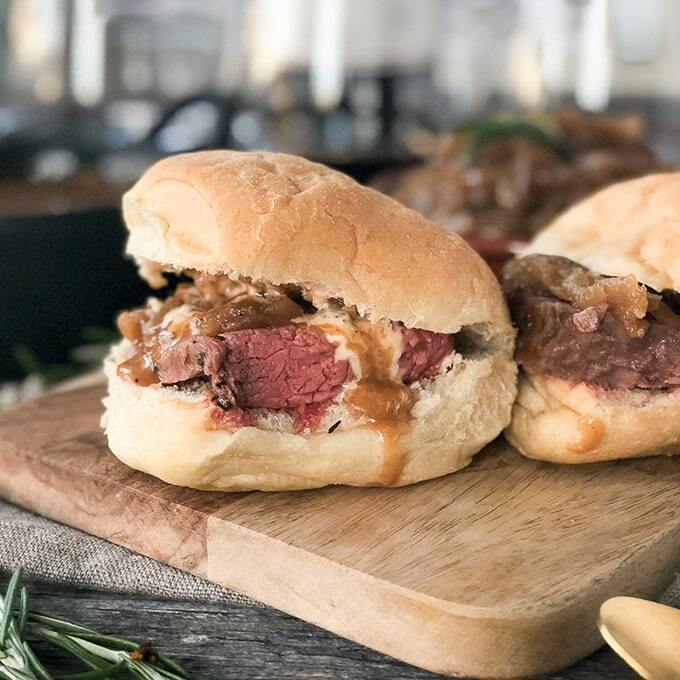 These Prime Rib Sliders with Caramelized Onions and Horseradish Cream are the ultimate, decadent holiday appetizer! 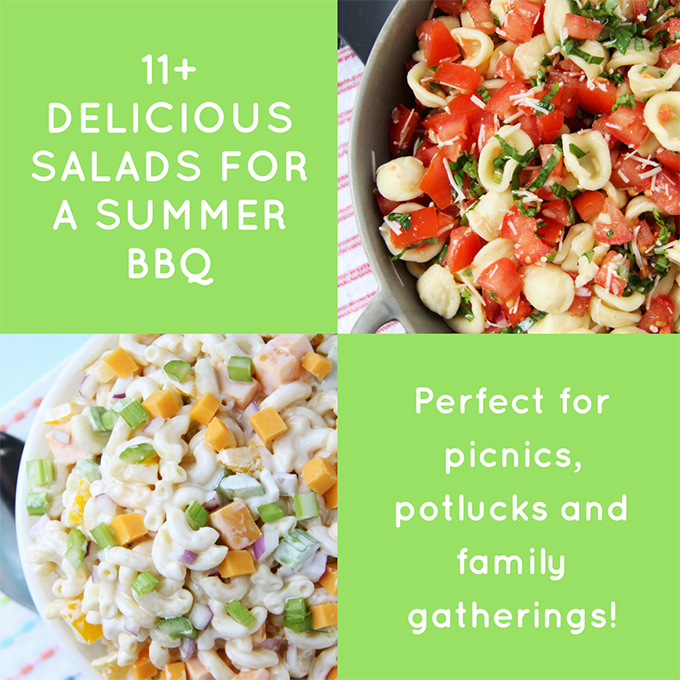 They’re perfect for lunch too! Fondues are always a big hit at gatherings! 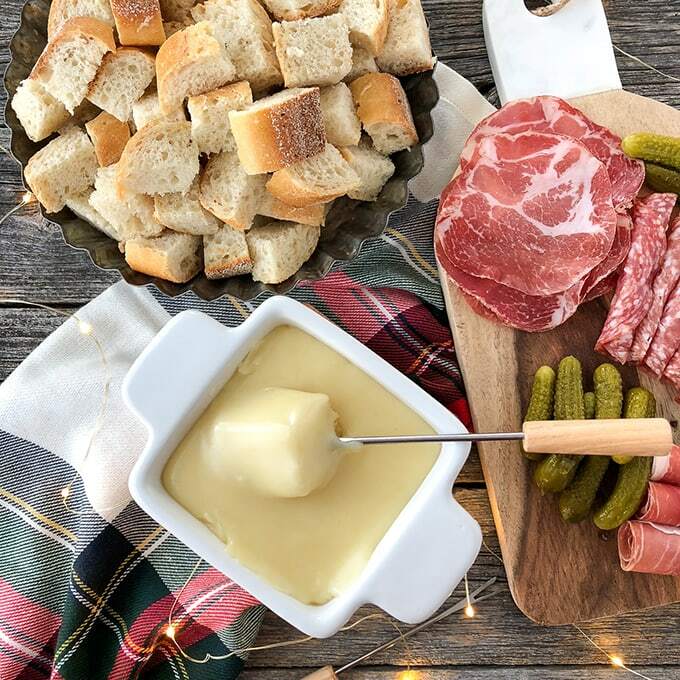 And this delicious Cheese Fondue is ready in minutes. Boursin Cheese is a favourite in our home! 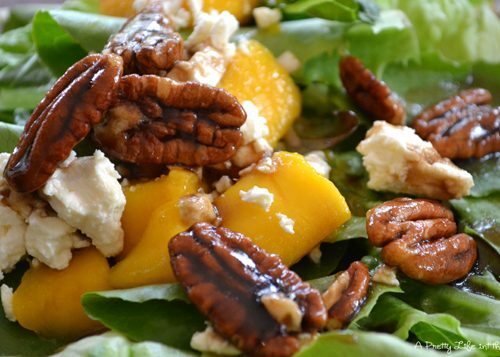 Here are 4 delicious ways to serve it up. Put together a Kid Friendly Snack and Cheese Plate that all ages will enjoy! 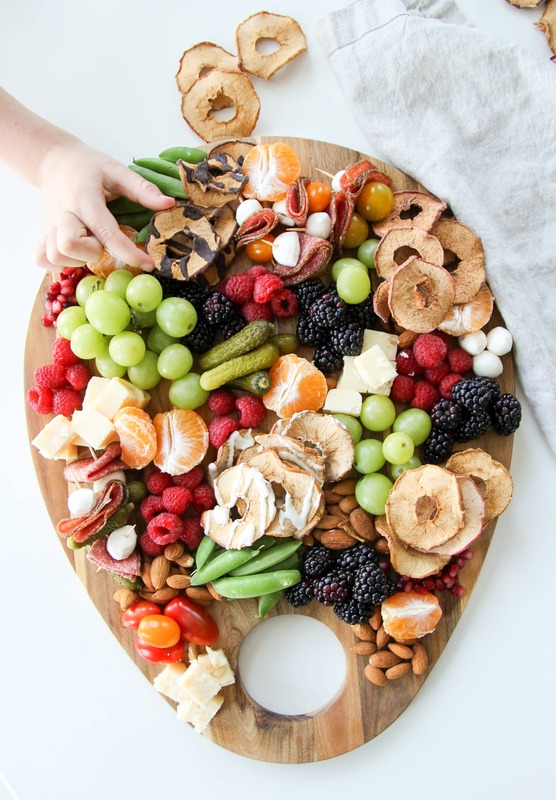 Load it up with apple chips, fruit, veggies, cheese and delicious finger foods. 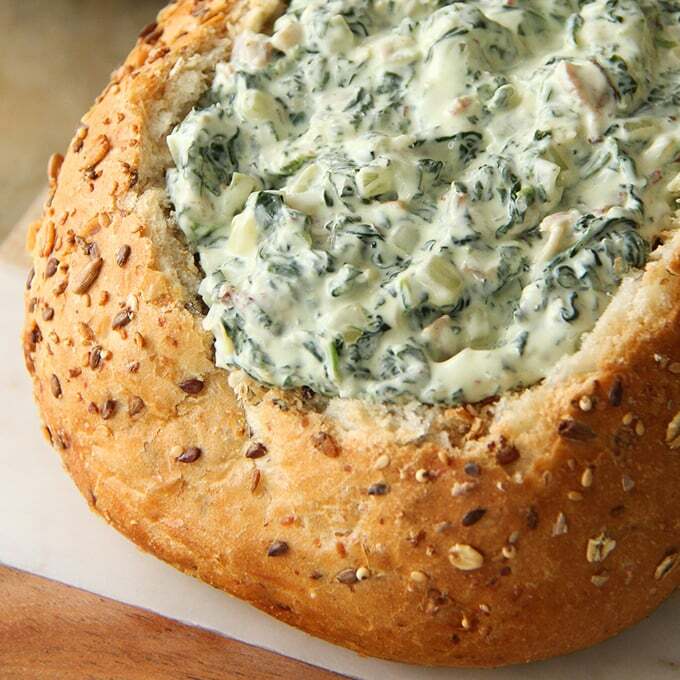 This Baked Goat Cheese Spinach Dip is baked right in a hearty bread bowl, making this the ultimate hot dip! It’s creamy, rich and full of delicious cheesy bacon flavour! 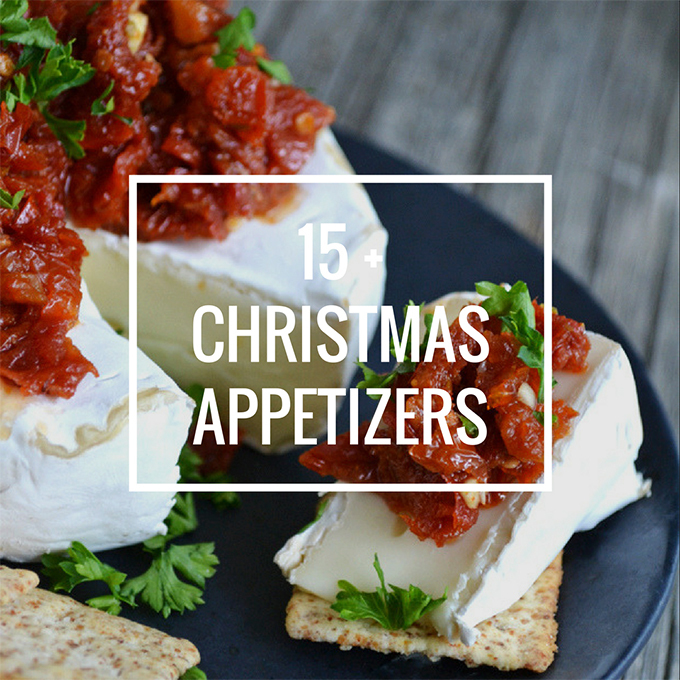 A great appetizer for the holidays! 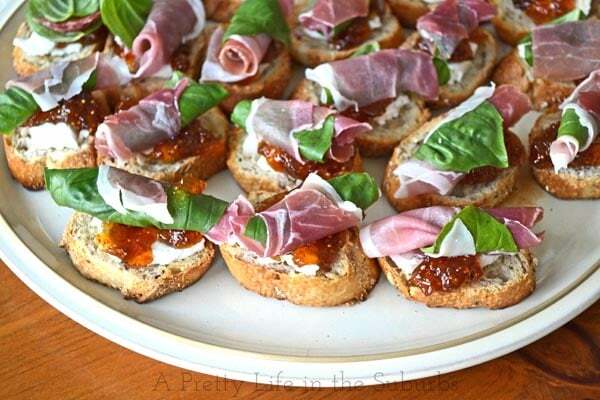 These Prosciutto, Basil, Fig Jam & Goat Cheese Crostinis are a delicious no-bake, ready-in-5-minutes appetizer! 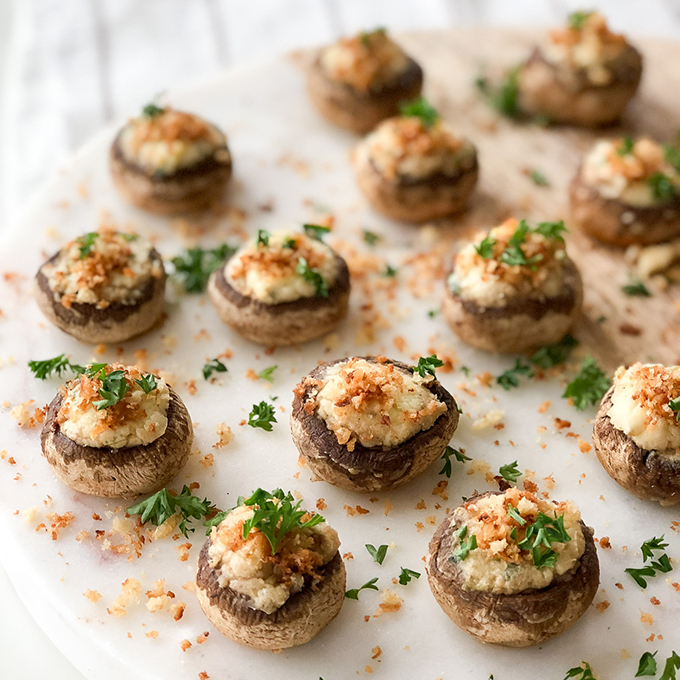 These Parmesan Garlic Stuffed Mushrooms are a quick and delicious appetizer! And you can make them a couple of days ahead of time. 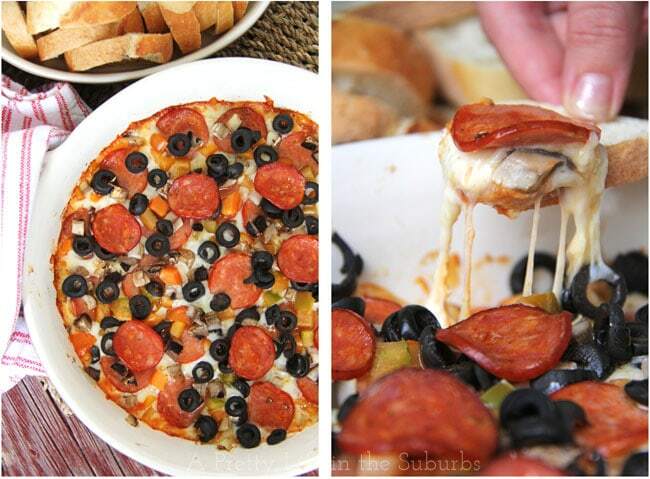 Aside from the fact that this Hot Pizza Dip is the best appetizer around, one of the best things about this dip are all the different combinations you can come up with. Love Hawaiian pizza? Use ham & pineapple. Veggie lover? 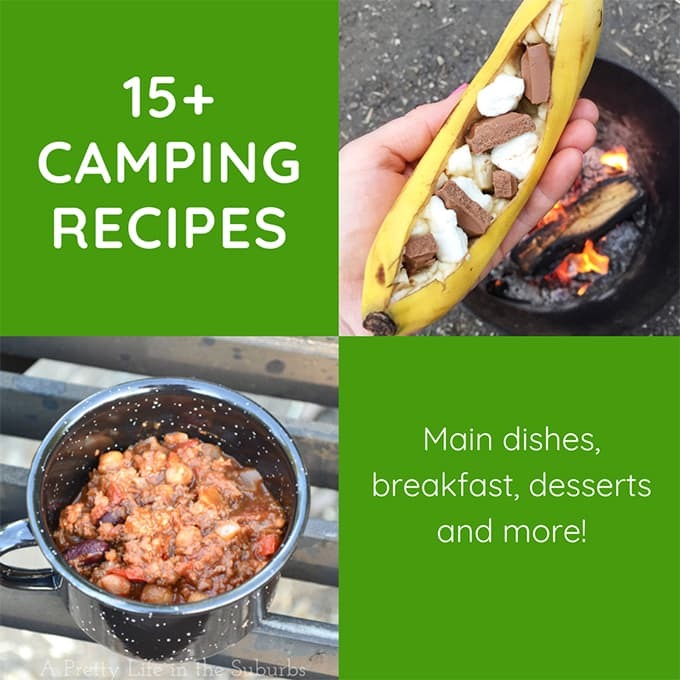 Use green peppers, olives, tomatoes, mushrooms…you name it. Meat lovers? Use pepperoni, ham & Italian sausage. 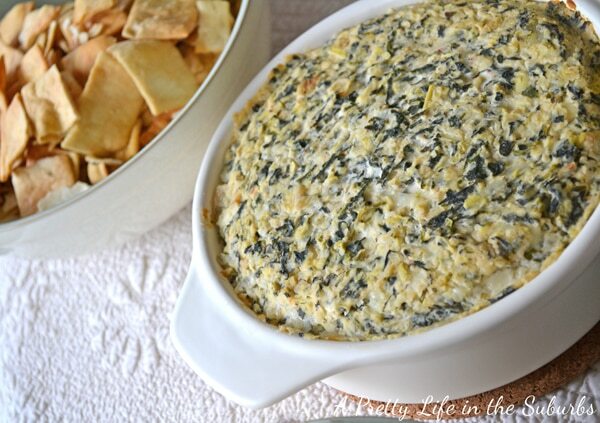 This Artichoke & Spinach Dip is another crowd pleasing dip! It’s creamy, flavourful and so good. It’s even got a hidden ingredient that makes it good for you! 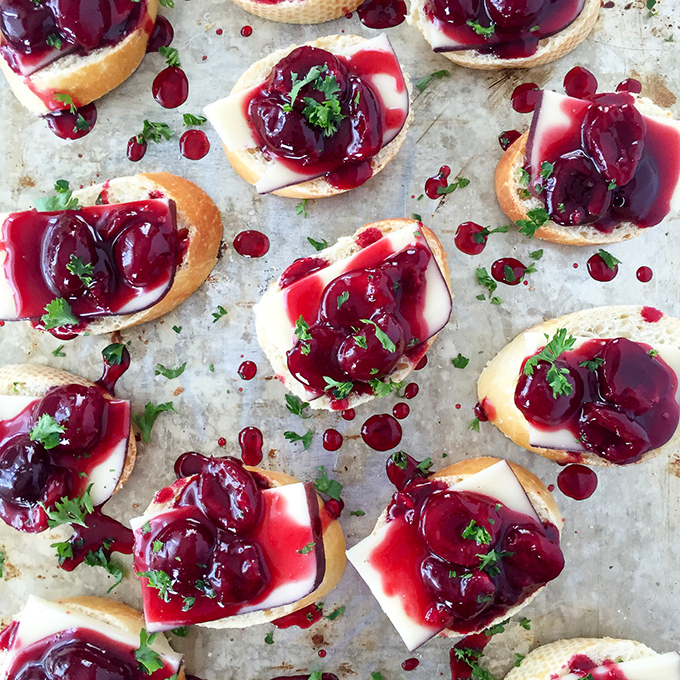 These Tipsy Cheese & Cherry Crostinis are a delicious appetizer! 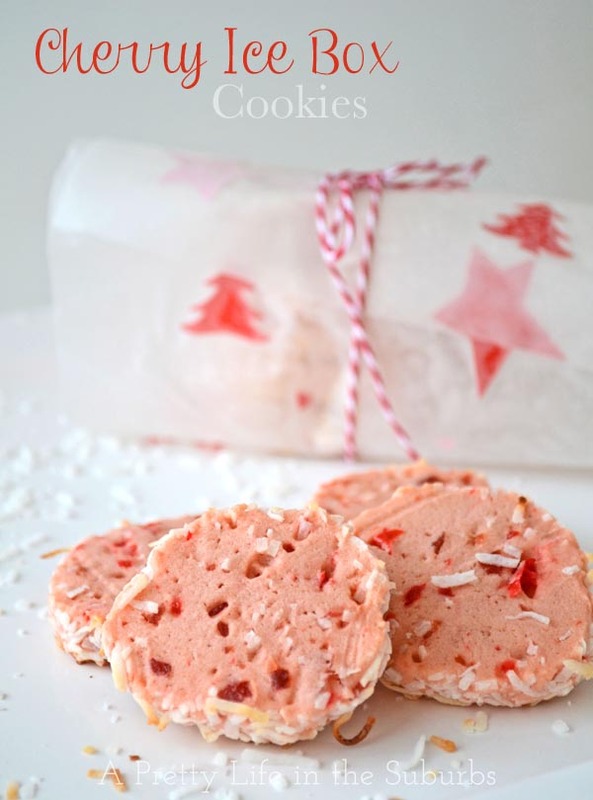 These are made with cherries and a flavourful Swiss like cheese. 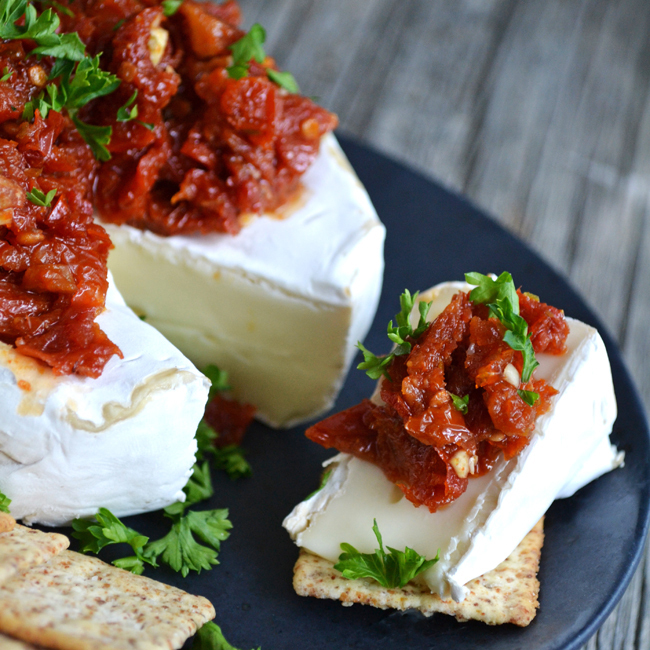 This Brie with Sun Dried Tomatoes is one of my most favourite Brie recipes. 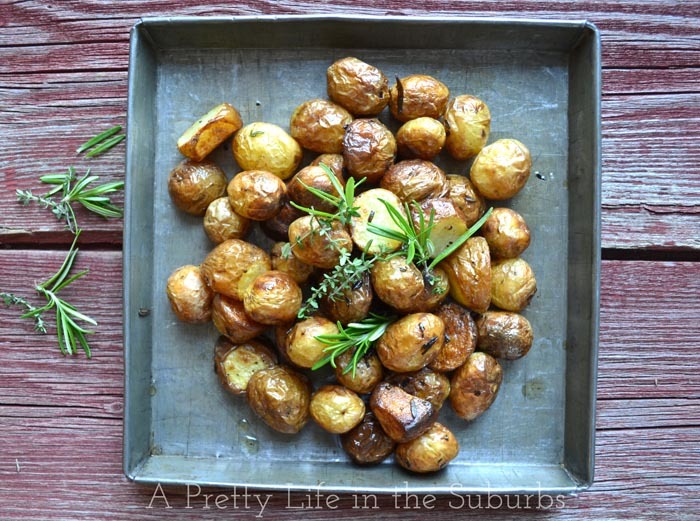 It’s creamy, garlicky and so good! 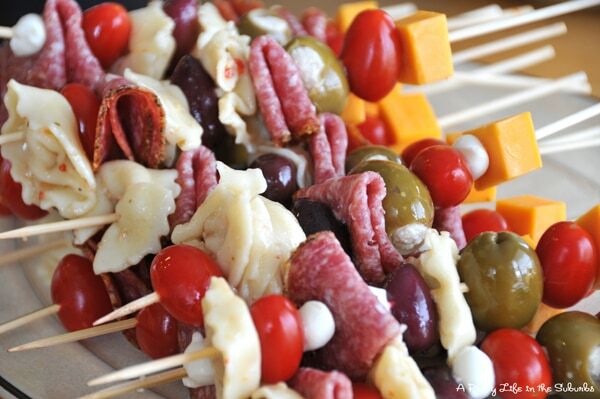 These Antipasto Skewers are always a favourite! The great thing about making them are all the different flavour possibilities! 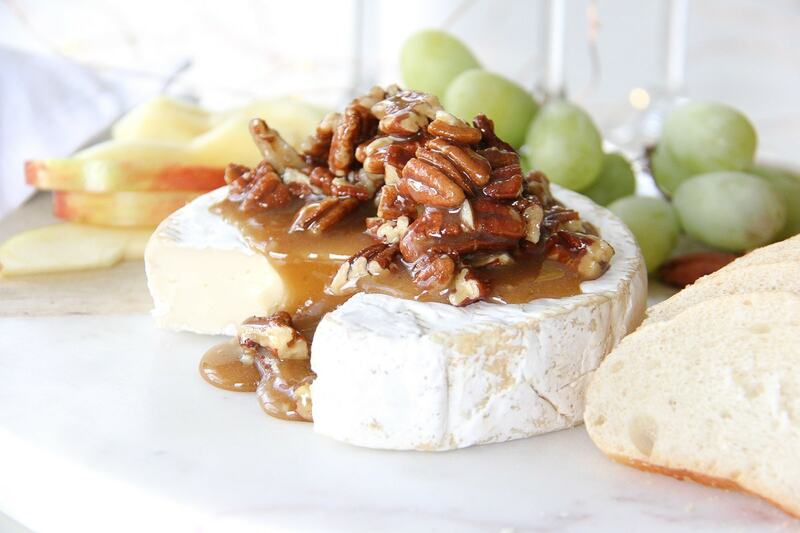 Think outside the charcuterie plate, and make a Dessert Cheese Plate! 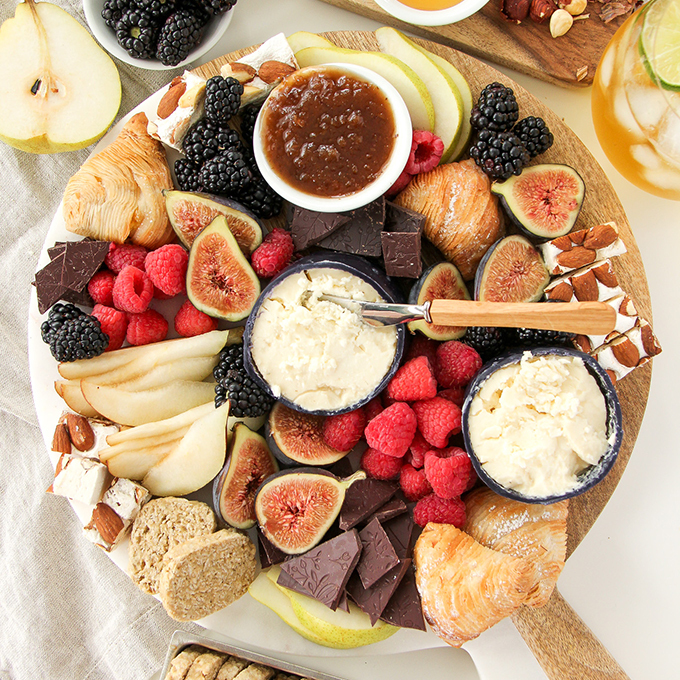 This plate is loaded up with delicious cheese, chocolate, nuts and fruit! Perfect for entertaining. 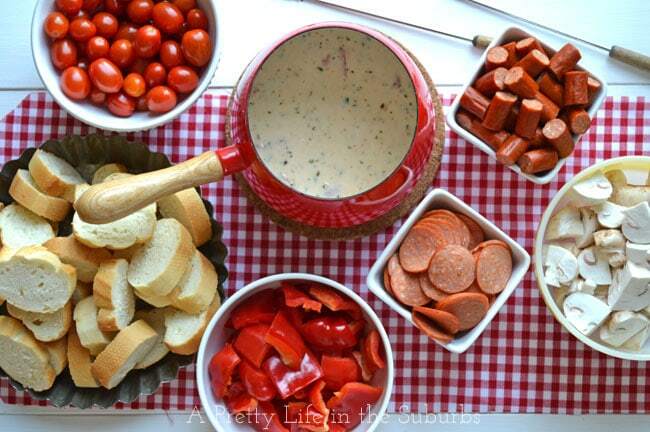 This Easy Pizza Fondue is a fun and interactive appetizer idea! Tastes just like your favourite pizza! 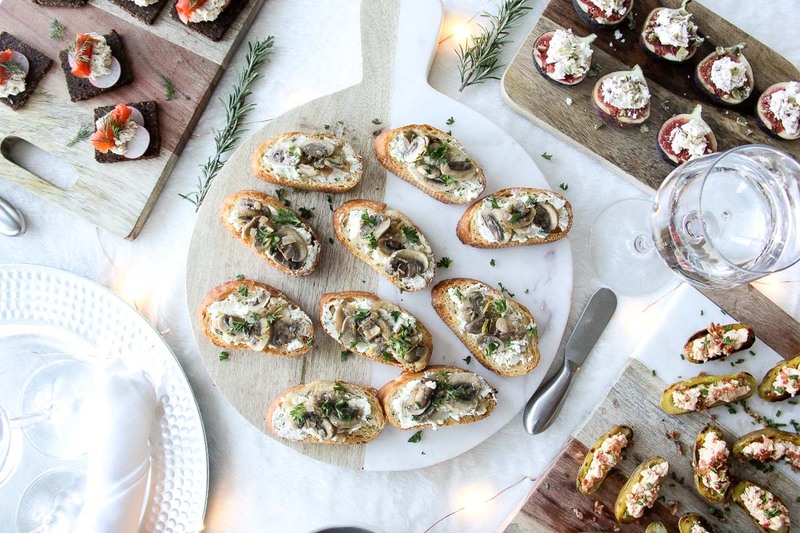 I hope you found some delicious appetizer inspiration for your Christmas celebrations! 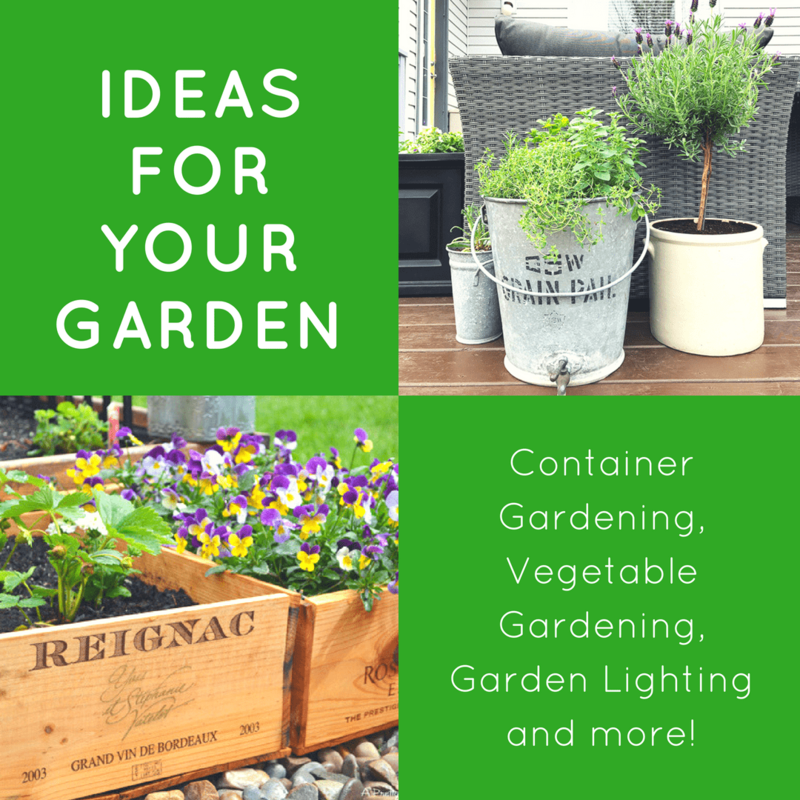 I’ll add more as I create them too!